Arvind tells his roomates that the Indian army has placed spies in colleges in Delhi. The doctor tells Suhasini that Simmi is pregnant. Simmi tells Abhay that she knows about her disease. Swadheenta wants Suhasini to know about Simmi’s ailment. Arvind decides to involve Asad in his plan. Suhasini confronts Abhay about not informing her about Simmi’s ailment. Ahuja is grateful to Swadheenta for helping Simmi. Arvind shares his plan with his friends about planting a bomb in Asad’s scooter! Asad assures Yash that he will report to him if he learns something about the terrorists. Radhika tells Asad that his friends are missing from college. Swadheenta and her family arrive for the sangeet. Adarsh gets romantic with Swadheenta. 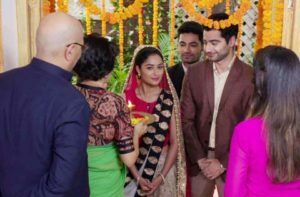 The families decide not to postpone SwaAdarsh’s wedding. The police find the wires planted by Arvind and his friends. Meanwhile, Jaidev and Jaya are getting closer. Arvind decides to make changes in his plan for the bomb blast. The Sinhas and Ramakrishnans celebrate SwaAdarsh’s haldi ceremony. Asad includes Radhika in the celebrations. Arvind has plans to plant explosives in the college. Jaidev apologises to Jaya for misunderstanding her all these years. Asad tells Arvind that he has been spying for Yash! Iftikar alias Arvind’s associate, is worried about their plan failing. Suhasini tries to calm Manohar down. SwaAdarsh spend the night talking to each other over the phone. Iftikar plans to kill his companions after the blast! Iftikar puts the bomb in a gift box and asks Haider to give it to SwaAdarsh. SwaAdarsh get ready for their wedding. Iftikar manipulates Asad into taking the same scooty in which he has planted the explosives. 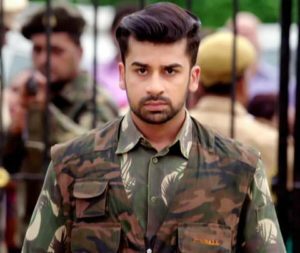 Will Iftikar succeed in his mission? Asad takes Radhika to Arvind’s house. He learns that Arvind, Ravi and Rajesh are terrorists! Yash reaches Arvind’s house to investigate the matter. Swadheenta and her family reach the Sinhas’ house for the wedding. Will Yash be able to defuse the bomb that Iftikar had planted in Asad’s scooty? 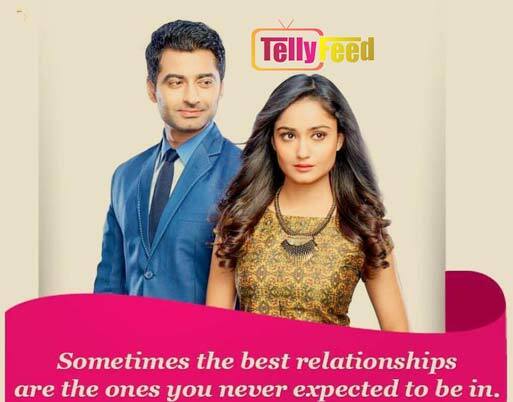 Will Asad, Abhay and Yash succeed in averting the blasts? Yash asks Abhay to circulate the photographs of the terrorists. Swadheenta gives an earful to Asad for not attending her wedding. SwaAdarsh’s wedding takes place! Abhay apologises to Adarsh for not attending his wedding. Yash informs Abhay about the location of the bomb. Asad learns that the location of the third bomb is SwaAdarsh’s wedding venue! Will they be able to defuse the bomb in time? Ahuja ensures that Simi doesn’t find out about Abhay being shot. Suhasini and Manohar break down on seeing Abhay’s dead body! A news reporter manages to record Swadheenta’s statement on a secret camera. The Sinhas believe that Asad killed Abhay. Haider and Zubaida learn that Asad is dead. Suhasini and Manohar hide about Abhay’s death from Simi. Jaidev tells Jaya how Asad had shot Abhay and then got killed himself in the encounter. Meanwhile, Manohar decides to get Asad’s father, Haider punished. Adarsh asks Swadheenta to stay away from the Jilanis. Later, Simi is shattered on seeing Abhay’s dead body. Simi is shattered to see Abhay’s body. The Sinhas mourn his death. Ramakrishnan asks Swadheenta to break all ties with the Jilanis. She tries to prove to Jaya that Asad is innocent. Manohar confronts Zubaida when she visits the Sinhas. Zubaida tries to convince Suhasini that Asad was not a terrorist. Later, she asks Swadheenta to prove to everyone that Haider and Asad are not terrorists. Swadheenta visits Haider in jail. The Sinhas take Abhay’s body for cremation. Simi faints during Abhay’s funeral. The police department pays homage to Abhay. Swadheenta carries Asad’s body to the burial ground. She also vows to prove Asad’s innocence to everyone. Adarsh is furious at Swadheenta for defending Asad and Haider. Swadheenta decides to fight for clearing Asad’s name and take up Haider’s case. The Sinhas are upset with Swadheenta! The Sinhas arrive at the court for the first hearing of the Delhi Blasts case. Swadheenta is also present as Haider’s lawyer. The proceedings begin. Will Swadheenta bring justice to Haider? Will her relationship with Adarsh strain further? Swadheenta and Suhasini have a confrontation about the case. An upset Adarsh promises Swadheenta that he will ensure Haider gets hanged! Later, Simi comes to know about Abhay’s killer. Meanwhile, there is a red alert for Iftikar aka Arvind. Radhika shares her miseries with Swadheenta. Adarsh asks Suhasini to take up Abhay’s case. Jaya tells Suhasini about Simi locking herself in a room. Swadheenta tells Adarsh the reason for taking up the case. Yash testifies against Asad in court. Suhasini tells the judge that Arvind is not a terrorist and finding him will be waste of time. However, Swadheenta strongly disagrees. Later, Yash struggles to answer Swadheenta’s question. Adarsh and Swadheenta happen to visit the site of the blast at the same time. Swadheenta tries to revisit the incident and stumbles upon something that could prove crucial in the case. Meanwhile, the tension between Adarsh and Swadheenta is growing with Swadheenta refusing to change her stand. Swadheenta accuses Minister AK Choudhury and Manohar of being involved with Allan Broad. The court gives Suhasini a week to prove Swadheenta’s allegations wrong. What will Suhasini do now? Swadheenta asks the police to check the CCTV footage at the mall. Bilal and Iftikar manage to get past the police check post. Swadheenta tries to track Yash’s location. Will Iftikar get caught? Arvind assaults Yash and manages to escape. Adarsh asks Jaidev to send him a copy of the Delhi Blasts enquiry report. Manohar tells Jaidev to send a fake report to both Suhasini and Adarsh. Meanwhile, Bilal gets orders to kill Swadheenta! Adarsh confronts Manohar for providing the fake enquiry report. Swadheenta reaches Iftikar’s hideout. Adarsh and Padmashree try to track her location. Will Adarsh be able to save Swadheenta? Swadheenta tries to prove Asad’s innocence to Simi. Radhika requests Yash to help prove Asad and Haider’s innocence. Later, Yash manages to mislead Iftikar and makes the ultimate sacrifice to stop Iftikar’s evil plans! Manohar admits to his mistakes.The court acquits Asad and Haider of all charges. The Sinhas apologise to Haider and Zubaida. Later, Suhasini performs SwaAdarsh’s grihapravesh!